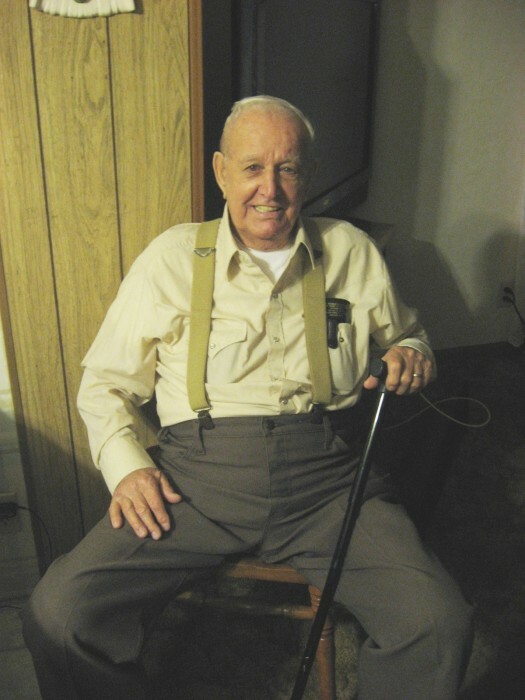 Robert Eugene Hoover, 91, of Avon Park, passed away Thursday morning, October 11, 2018 at Sunny Hills, Sebring, FL. A native of Dubois, Pennsylvania he moved to Florida in 1977 from Niagara County, NY living in Palm Beach County for over 20 years then moving Highlands County, then half backed to Tennessee before moving back to Highlands County 2 years ago. Robert was a veteran of World War II serving in the US Army. He enjoyed tinkering in his garage with tools and equipment. A man that was always known to be working, he would take time to cut the neighbors grass. Robert was outgoing and friendly and always cutting up. He was preceded in death by two sons, William and Lynn. He is survived by his wife of 47 years, Ruth; children, Robert, Gary, Terry Lee, Larry and Pearl; step children, Robert and Beth; 13 grandchildren and several great grandchildren and great great grandchildren. A memorial service will be held on Sunday, October 14, 2018 at 2:00 p.m. at Fountain Funeral Home, Avon Park, FL.